You are here: Home / Encouragement / Who Can You Trust? No matter what there is one thing that we must remember. 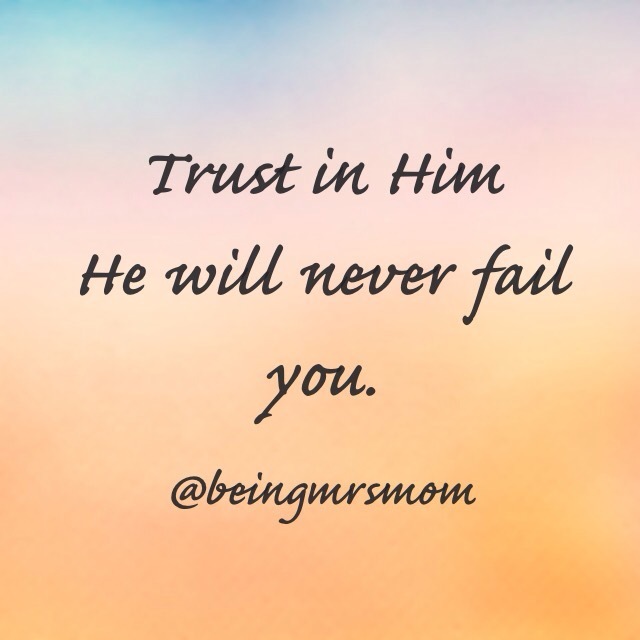 We must trust in Him because He will never, ever, fail us. They will turn and walk away. They may give up. They may say things that are hurtful, but there is One that will never treat you this way. He is the King of kings and the Lord of lords. He lives up to being the Best and will always exceed our expectations. Today, I want you to remember as I am reminded…our God is great. Never wonder again who you can trust in…Trust God because He will never fail us. Love this! Thank you for the sweet reminder of how faithful our Father is- regardless of what this earth dishes out. Praying for you, love you, and am thankful for your faithfulness to God using you in every life you encounter. Thank you for your encouraging words. I’m glad you found this post encouraging and uplifting. 🙂 Thank you for your prayers and support as well. I really do.